Pizza For One? No Problem! It is easy to think of pizza as a meal for a group, but that does not have to be the case! We totally understand that there are many times when you just need pizza for one. Whether you are on your own or you do not want to (or your stomach can't handle to) indulge in a whole pie, or you are trying to satisfy every palette in your family of picky eaters and only one person wants pizza, or you are looking for a quick bite to eat at lunch, Social Pie has got you covered! At Social Pie, our main goal is to have you leaving with your belly full and your heart happy. If a whole pizza pie is too much for you to eat and you want a smaller option, we have just the thing! Our menu includes Slices of our pizza pies. Our standard pie size is fourteen inches. Our Slices are one-fourth of our standard pie, so you are still getting a great portion size. For our Slices, we give you the choice of four different pies; Four Cheese, Pepperoni, Meaty Meat, and Wild Mushroom. You can choose one or make a half-pie (still a great portion size for one person) by choosing two different Slices. Even if portion size isn't an issue, choosing a few different Slices gives you the opportunity to mix up the flavors and try more cheese and topping options. Who can say no to more cheese and toppings? Our Slices are also a great choice when you have one person (or you are that one person) who doesn't like the same toppings as everyone else in the group. Order a Slice with the regular 14: pie and everyone will be happy! At lunchtime you may be craving pizza, but can't commit to a whole pie in a time crunch. Our Lunch Bundle is the perfect solution! 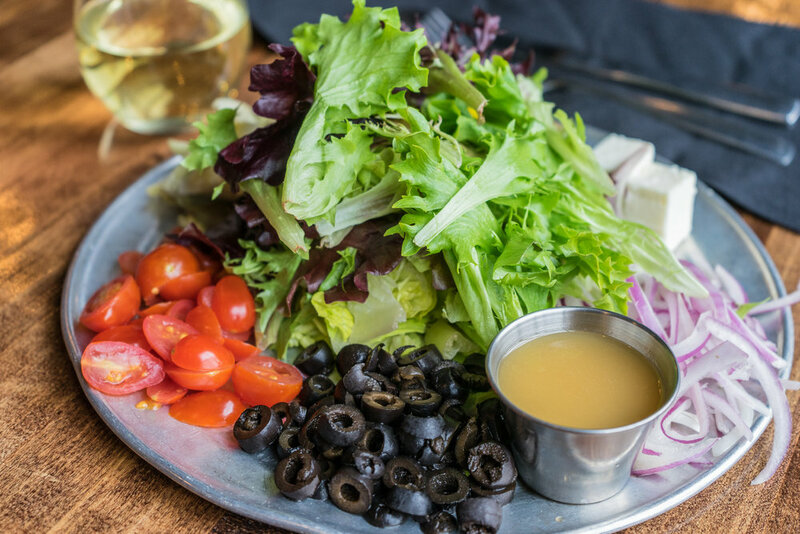 Our Lunch Bundle includes any one of our Slices, a Small House Salad, and a Fountain Drink. It is the mid-day pick-me-up your body and taste buds need. Stop in and grab your Slice today! Super Busy? Social Pie to the Rescue! Why BBQ When You Can Have Pizza?